Okay so get this rap, cats: You got you yer motorcycles, you got yer steampunk, you got you yer sadboy walking to the right. It can’t go wrong, right? This is a sure thing. We got this. You, me, and the rest of us rat-eared mutants are gonna hit the big time with this thing. This here Steel Rats game checks all the boxes, and boy are we about to hit the big time. Except we aren’t. In a game that’s about riding motorcycles, not much feels very motorcycley. It’s a neat idea. 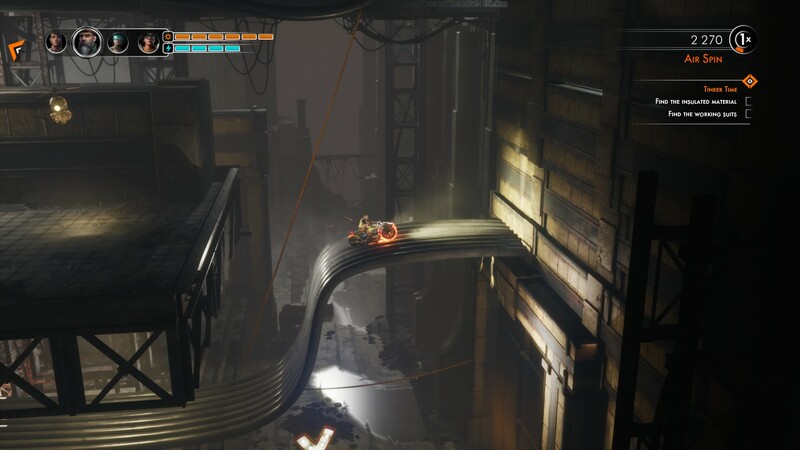 Steel Rats takes the physics-based biking of Trials and applies it to the atmospheric platforming of Playdead’s Inside, giving you a crew of four riders to swap between as you make your way through each level. Each rider has their own set of unique abilities, and these are used to battle the army of evil robots who are invading your noir-punk city. The Rats all share a couple of key abilities, including a buzz-saw attachment for the front tire that serves multiple purposes. You can use it to attach to surfaces covered with a certain kind of pipe, thereby driving along walls and ceilings, but it doubles as a speed boost and triples as your most useful weapon. I found myself generally ignoring the Rats’ special abilities in favor of plowing headlong into enemies with the wheel-saw screaming, and this tactic rarely failed me. In emergencies, firearms found in crates were powerful enough to take care of business. And here’s my first main issue with Steel Rats. Since you have to be able to complete any given level with any of the Rats, none of them feel meaningfully different to play. One stand out is that Toshi, the gang’s youthful egghead, has a helpful Tesla drone that fires lightning bolts at nearby enemies, but the rest of the Rats’ abilities seem like afterthoughts. The four Rats also function as lives, and you can swap between them at the press of a button, but they feel so similar that I frequently lost track of which one I was playing. 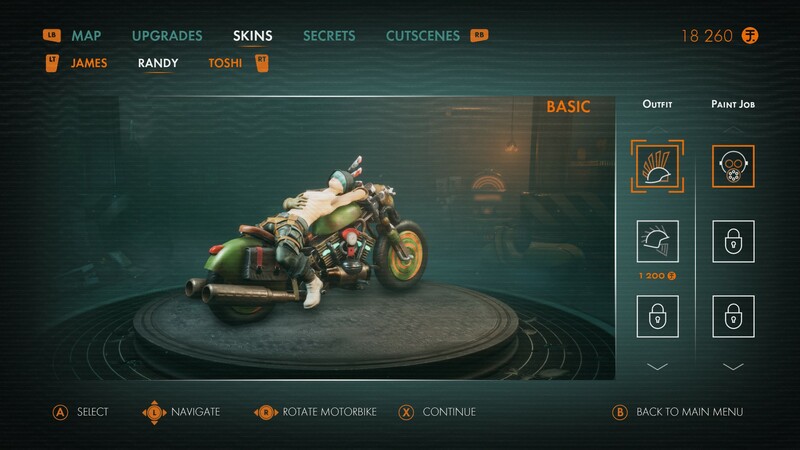 As you finish levels, ability upgrades and skins for both riders and their bikes are unlocked, and you can use scrap you pick up to buy them. Another problem quickly arises: you only ever get three new unlocks per level, and you’re quickly awash in scrap, so there aren’t any interesting decisions to make here. I’d finish a level, hunt through each character’s ability menu to see what was new, and buy it without a second thought. It’s a nice enough game to look at, though. Art direction is strong, which helps make up for the last-gen models. 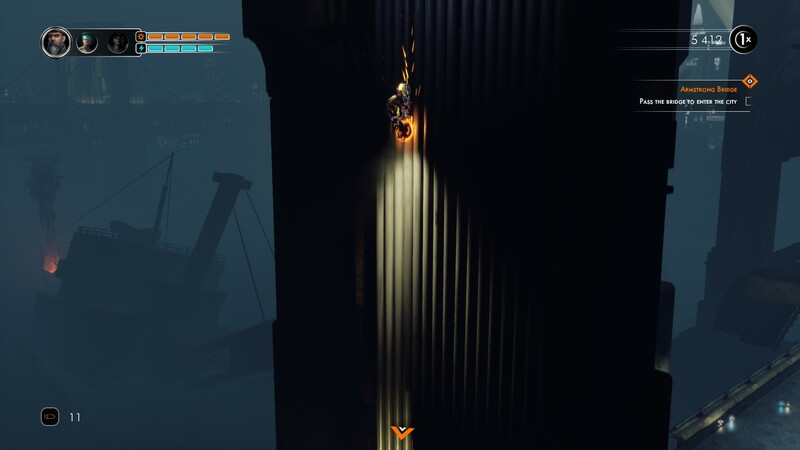 The Steel Rats only ride at night, and the game takes them through several moody, noir-infused environments that range from underground caverns to high-rise rooftops. A damp fog blankets everything, and the structures that peek out in the distance give Steel Rats a distinctive sense of place. Unfortunately, it’s just a sense. You’re always driving along a track, and finding your way through levels is mostly a matter of switching lanes, finding generators to fire up, and occasionally beating up a group of evil robots to open the way forward. You’re always on your bike, but most levels have you driving through places where you don’t normally find motorcycles. A subway station, a mall, a building under construction – these confined spaces force you to slow down when the fantasy of riding a massive V-twin-powered chopper is all about speed and the open road. There’s very little of that in Steel Rats, and it’s frustrating. Each level has challenges to complete to earn bonuses, and there are secrets to find, which each reveal a new bit of lore. But apart from a couple of setpiece encounters (such as an exciting race straight down a mineshaft with a massive drill in pursuit), the levels feel pretty similar throughout, and I can’t imagine going back to any one in particular. The ones that stand out in my mind are the ones where I got the most frustrated — in several cases, the way through involved switching tracks while driving vertically with my wheel-blade, and the solution felt more like accidentally triggering a game exploit than working out what I was supposed to do. Most of the game’s 28 levels can be dashed through in less than four or five minutes, but certain sequences brought me to a screeching halt. I got stuck for more than an hour on one rooftop section, thanks to a maddening sequence of jumps and the fact that I was on a motorcycle that made everything feel like it was covered in ice. 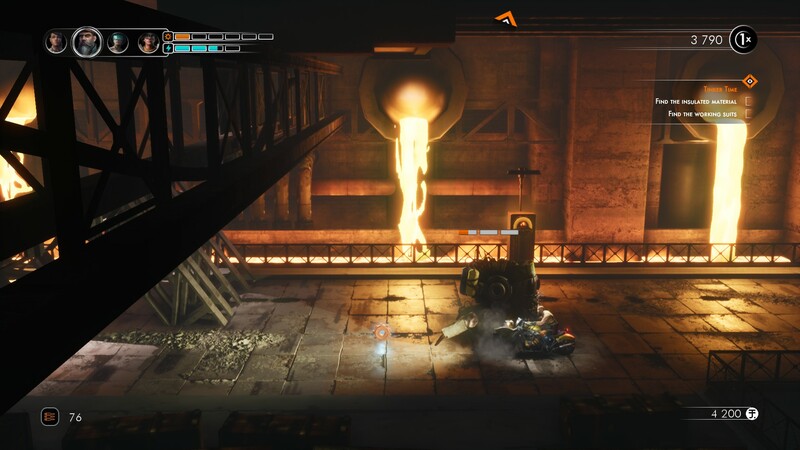 Unlike Trials, Steel Rats feels unpleasantly floaty, and when I finally made it across the series of gaps it felt as though it had been a case of good luck rather than any mastery I’d developed. Sometimes after a fall I’d spawn back into the level with momentum, and I’d watch my rider tumble a second time without having any chance to take control. The dirt bikes in developer Tate Multimedia’s Urban Trial: Freestyle, a kind of Trials clone from 2013, have a much finer control than the big choppers of Steel Rats. It’s by no means a terrible game, but it whiffs on too many elements for the admittedly cool aesthetics to carry the day. There were moments of pure fun, like escaping from the docks as a robot-controlled ship ripped up everything behind me with a massive anchor chain. But there were just as many infuriating, controller-tossing moments that managed to destroy any goodwill the fun times had built up. The lesson, I suppose, is that if you’re going to make a game about motorcycles then just let me drive, man.